Tribes has been sending travellers to Malawi since 1998 and we know it really well. We appreciate feedback from our clients whether it’s good or bad (thankfully it’s nearly always excellent!). We publish all the reviews we receive on our website. Below a some of the ‘Overall Comment’ from our travellers who’ve completed the feedback for us. We hope this helps you get a better view of whether to trust us with your holiday. Please click on the names for the full review from that client. 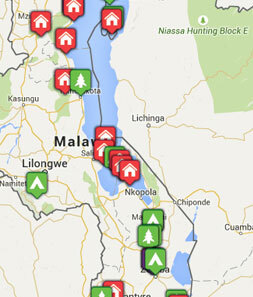 We’d love to hear from you if you would like our help to plan a trip to Malawi. "What we wanted was a relaxing safari holiday in a new location and we got that in spades !" "We had a wonderful holiday that exceeded our expectations with so many memorable sights and sounds. It took us two weeks to adjust back to our way of living in the UK. Sundowners don't seem appropriate with no sun!" "If you want a quite, chilled-out honeymoon, then Kaya Mawa is for you." "We had a fantastic time, I'm still dreaming of elephants and hippos!"